My friends in Christ, I am very honored to have the opportunity to share a little bit about my life with you I hope you find this interesting. My background is such. In 1965, I was born to Nick and Mary Theodosion (currently Fr. Nick and Presbytera Mary who are serving in the parish of the Saint Elizabeth the Wonderworker parish, in Gainesville, Florida), and raised in Cleveland Ohio. My childhood interests included GOYA, summer camp, swim team, cycling, playing the violin, as well as listening to popular music. While at summer camp when I was seventeen, I felt as though God was calling me to be a priest. After my graduation from high school in 1983, I went straight to Brookline, Massachusetts to Hellenic College where I earned my Bachelors Degree, then I went to Holy Cross School of Theology and earned my Masters of Divinity Degree. During my time at the Seminary I had many odd jobs that ranged from pumping gas, to being a cashier at Filene’s Basement. My interests included working the Orthodox Actionline (a telephone service for people to call and ask questions about the faith or personal issues), volunteering at the Pittsburgh Diocese Summer Camp and retreats, and fixing my old broken down cars. When I graduated from seminary, I went to work as a parish youth director at the parish of Saints Constantine and Helen in Newport News, Virginia. At this time, DT, (now Fr. Demetrios Tsigas), and I were roommates. In October of 1992 I met my future wife Presbytera Athena who was born and raised in Belleville, New Jersey. She was the answer to my prayers and we really hit it off. We were engaged in July of 1993 and were married in May of 1994. In April of 1995 our first daughter Vasilia was born, in June of 1997 Alexandra was born and in October of 1998 our son Nicholas was born, and they are our pride and joy. Years later God blessed with two more children, Joseph who was born in 2009 and Andreas who was born in 2011. Having 5 children hasn’t been easy for Presbytera and I but we truly believe and consider our family to be a labor of love. 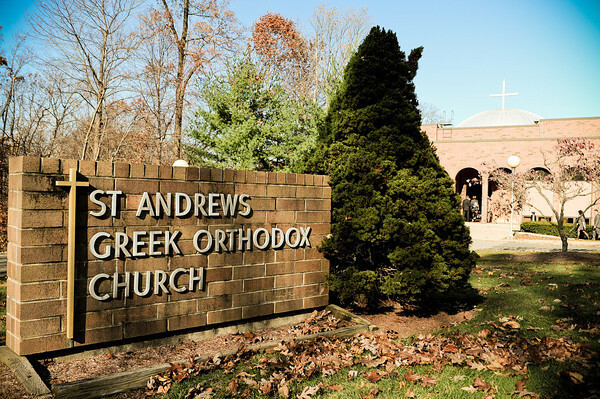 After working in Newport News for 2 years I moved to New Jersey in July of 1993 to be closer to Presbytera Athena and while living here I worked in the Greek Orthodox Archdiocese Office of Youth Ministries as an assistant to Fr. Angelo Artemis. I enjoyed my time at the Archdiocese and in Newport News very much and I experienced many new things, and attended youth ministry training seminars. The experiences and information I learned during this period of my life were a very important influence on my life and continue to help my ministry today. Although my time at the Archdiocese was very fruitful I felt that God was continuing to draw me closer to the priesthood. 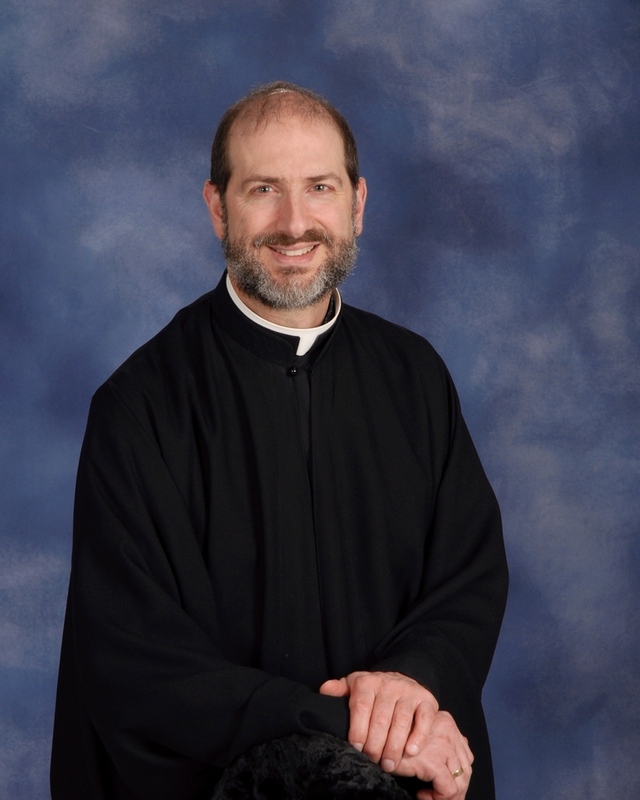 In July of 1995 I was ordained to the diaconate by the then Bishop Maximos in my home parish of Saints Constantine and Helen in Cleveland Heights, Ohio. I was then assigned to the parish of St. George in Piscataway New Jersey and was ordained to the priesthood by Metropolitan Silas in November of 1995. I faithfully served the parish of St. George from September of 1995 to April of 2004 and there I really developed into the priest I am today. I thank God for my time there because our family was blessed to enjoy so many beautiful relationships and I learned so much under the direction of Father Anthony Pappas having been his assistant for 7 years. I was transferred to Saint Andrew parish in Randolph New Jersey in May of 2004 and am grateful for the opportunity to serve this parish till the present. To conclude I wish to thank God for his guiding hand in my life. He has blessed me in ways I could never have imagined; with a beautiful family; with tremendous learning experiences; and especially for the wonderful opportunities He has given me to serve the people of His Holy Church. Glory be to God.